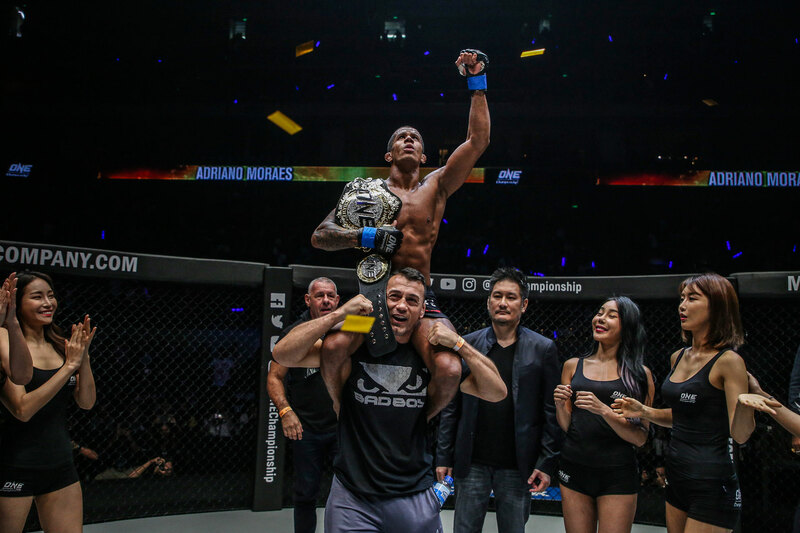 In a shocker, Adriano Moraes managed to eke out a decision win over hometown favorite Geje Eustaquio to win the ONE Flyweight World Championship, in the main event of ONE: Hero’s Ascent, Friday evening. Moraes, who raises his record to 18-3, became the first three-time world champion in ONE history. Team Lakay lost two of its four championship in a span of seven days. Moraes looked to put the pressure on the World Champion from the very beginning. He walked forward looking for openings to strike and opportunities to take the bout to the ground. 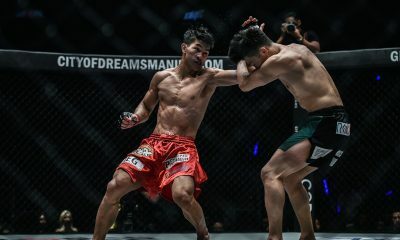 Eustaquio seemed happy and confident to operate off the back foot, however, and clipped the challenger with a succession of stiff left jabs and slick two-punch combinations. Surprisingly, the 30-year-old Brazilian Jiu-Jitsu specialist did not attempt a single takedown in the opening stanza, but he made amends almost immediately in the second frame. He took the Filipino to the mat, quickly established half guard, and searched for a submission opportunity. 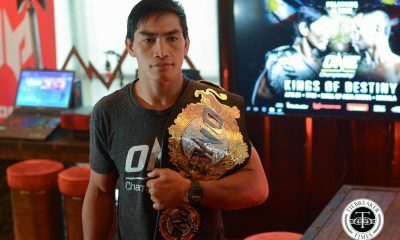 The pair then scrambled as Eustaquio fended off a succession of submission attempts from “Mikinho.” Then, the 29-year-old Team Lakay veteran looked to turn the tables on the Brazilian with some grappling moves of his own, and the capacity crowd inside the Mall Of Asia Arena roared their approval. The third round saw matters remain mostly on the feet as “Gravity” went back to his bread and butter — his wushu striking — to keep Moraes at bay. 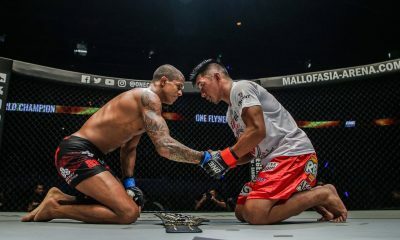 By the halfway point of the contest, it seemed clear both men had distinct advantages – Eustaquio on the feet and Moraes on the ground – and the takedown battle was proving critical to the success of both men. In the fourth stanza, one such takedown saw Moraes make arguably the most decisive move of the contest. The Brazilian moved to Eustaquio’s back and, instead of attacking the neck as he did before, he switched his attention to the World Champion’s left leg, pulling it up and over the titleholder’s left shoulder. He stretched the Filipino’s hamstring in a rare submission called a Suloev Stretch. Although that submission would have forced many athletes to tap, “Gravity” remained remarkably calm, and the crowd exploded into life once again when he finally escaped the hold. Eustaquio hobbled back to his corner after the fourth round, but he came out firing in the fifth as a slick combination briefly stiffened the legs of the challenger. However, Moraes ensured he would finish the round – and the contest – on top by securing yet another decisive takedown late in the frame. It meant that, just as their second meeting was last June, the bout would be decided by the judges’ scorecards. This time, there was no split-decision debate, as all three judges agreed that “Mikinho” had done enough to earn the nod. He was awarded the victory and crowned the ONE Flyweight World Champion once again.